The Nikon 360 Binocular Bag can be purchased separately, or it converts to the TREX 360 Carry System when combined with the FreeStyle Harness. Attach to your TREX FreeStyle Harness to raise the level of protection for your optic. Full-protection case attaches to FreeStyle Harness. Water-resistant, padded compartment to shield and secure optic. Patent-pending closure system keeps case closed tight to shield against water, snow and dirt. Interior and exterior pockets hold personal gear. Interior cellphone pocket has built-in microfiber cleaning cloth. 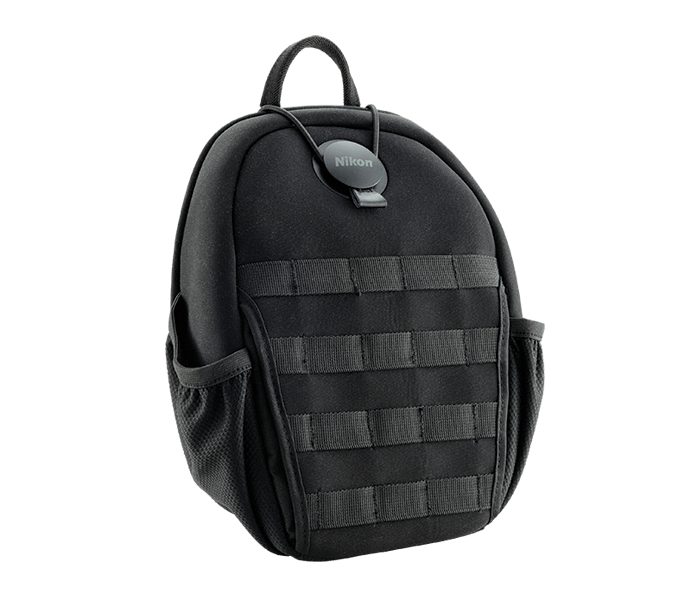 MOLLE webbing system on front allows attachment of other gear. Rear hand warmer pocket for a disposable pocket warmer.